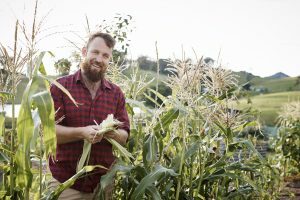 You may have seen him on the Lifestyle Channel as the man who lives at the incredible River Cottage Australia. 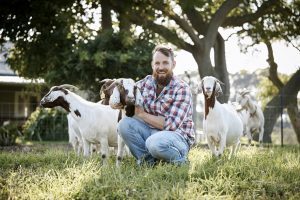 Paul West is a not just a TV host, expert chef and budding farmer, he’s also a Dad. 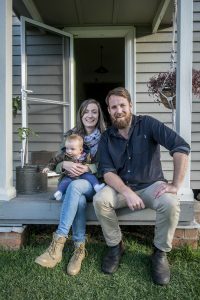 We sat down with Paul to ask about life on the South Coast of NSW and how he’s adapted to having a little one is his life. 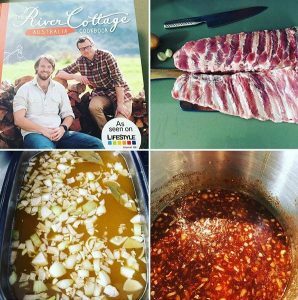 Dads Stuff – You’ve been at River Cottage Australia since 2013– are you completely settled there and does it feel like home? Paul – It’s weird, the South Coast felt like home from the moment I moved here. It has everything that I want in a place to call home; Unspoilt natural areas, dynamic and proud communities and access to amazing produce. 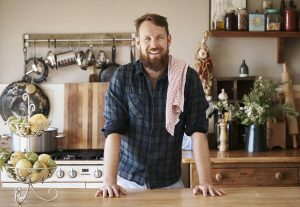 Dads Stuff – How do you manage family life alongside TV/Cooking classes/appearances/farming? Paul – It hasn’t been without it’s challenges. My first book was released a month after my son was born and I had to spend a lot of time away from home promoting it. Neither my partner Alicia or I have any family here so it was a massive struggle, especially for Alicia. I think the key is to make sure that there is dedicated family time, no emails, no calls, no jobs. Just you and your loved ones. Dads Stuff – What’s been the best thing about fatherhood for you? Dads Stuff – What was the biggest surprise/thing you learnt about being a father? Paul – How much it can test you and your relationship. We all see the pretty pictures of hunky dory family life, but the reality has a lot more frayed tempers and dark rings under your eyes. Dads Stuff – What’s it like having a young child in a small country town? Is it difficult to get access to things you take for granted in the city? Paul – I personally find it the total opposite. I take for granted that we have ample space to play outside, very little traffic and a village that all know and love my young bloke. His day care is set in the bush surrounded by gumtrees and bird song and there was no waiting list to get him in. I think for toddler and primary school age, small country towns are better for raising kids. It’s when they get to the teen years that I think the horizons need to be expanded a little. Dads Stuff – What’s your ‘go to’ meal you whip up for your family when they need comfort food? Dads Stuff – What’s your favourite drink to relax with once your little one has gone to bed? If you like the look of some of the things that Paul cooks you should try his cookbook, details of which are available here. 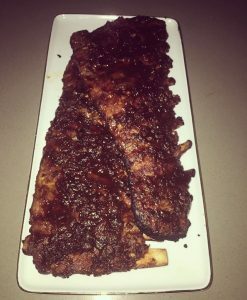 We’ve tried making the ribs at Dads Stuff HQ, and yes, they tasted as good as they looked!